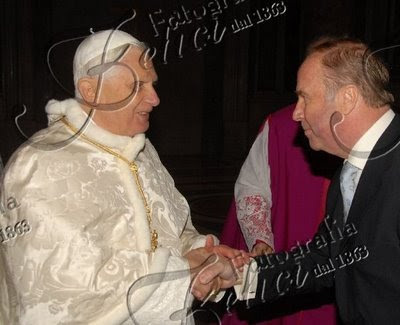 The White Mozzetta is back…Alleluia! The Holy Father this week is seen in the traditional white mozzetta worn by the Holy Father only during the Octave of Easter. 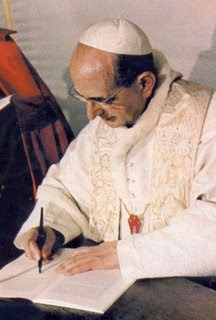 The last Pope to wear this traditional white mozzetta was Pope Paul VI. The return of the garment in both forms, the winter red and the Easter white is a hallmark of Benedict XVI. 7 users commented in " The White Mozzetta is back baby…Alleluia! " I love the Easter white mozetta. Great to see some long abandoned customs come back. What about the Tiara or does the Pope need to be crowned to wear it? Of Course, The pope’s message is very important! We all know this. But it would be sad if he gave it in blue jeans! Traditionalists are jumping for joy at the sight of the Easter Mozzetta – traditionally workn by the Pope during the Easter Octave. It’s past the Fourth Sunday of Easter, and the Pope is still wearing it! If the “Easter Mozzetta” is for the octave of Easter, then why is the Holy Father wearing it throughout Eastertide? He is still wearing it because…he can wear anything he wants to wear, whenever he wants to wear it. The tradition was just during the octave of Easter. It seems the new papal norm is the Easter Season. As they say…Roma locuta est…! It has been a few years, and Pope Francis has chosen not to wear any mozzetta or rochet at any time. Moreover, he frequently wears a miter that he brought with him from Buenos Aires. He prefers a simpler style, and it certainly has not detracted from attendance at papal functions.